The full list of Golden Globe 2019 winners is here: Did superhero movies soar or fall flat on their face? Award season is well and truly underway with the Golden Globes 2019 kicking things off in style yesterday (January 6). 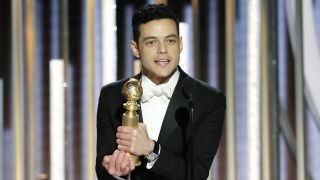 If you missed the awards ceremony itself, don't worry, we've got the full list of the Golden Globe winners below and, trust me, there are some big shocks. The likes of Westworld season 2, Black Panther, and A Quiet Place all picked up Golden Globe 2019 nominations, plus the usual suspects, such as, well, The Favourite (an apt name, as you'll soon find out), If Beale Street Could Talk, and A Star is Born. 25 categories, 125 nominees, and everything from the best shows on Netflix right through to the return of iconic characters decades in the making. Simply put, there was a lot of competition. So, if you want to know of T'Challa is bringing gold home to Wakanda or if Spider-Man: Into the Spider-Verse picked up a gong, then read on for the Golden Globes 2019 winners. It was a so-so night for superheroes. Here's why they might not get a fair shake come awards season and why that's about to change.